Mindwatch: What to Do with Trump? 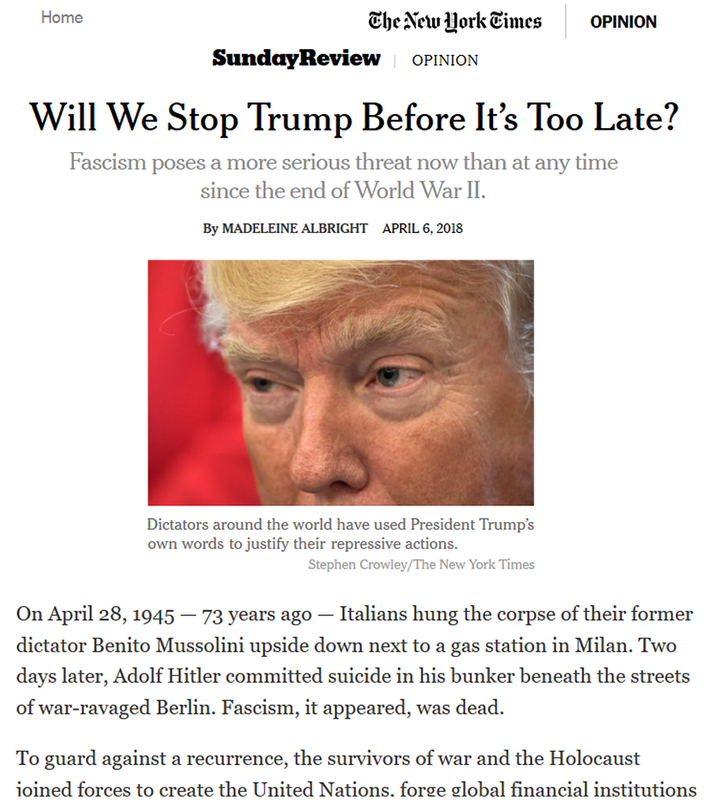 Madeleine Albright's Sunday article "Will We Stop Trump Before It’s Too Late?" 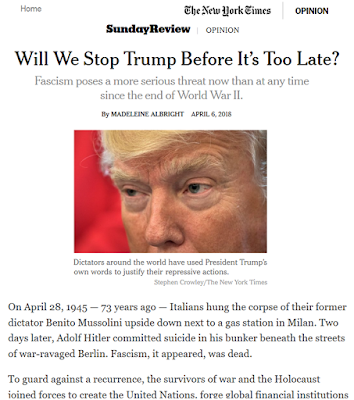 (link) wields highly-provocative first paragraph imagery: Mussolini was executed together with mistress Clara Petacci, and Hitler "suicided" w/ Eva Braun, Who'd depart with Trump? Seriously, Fascism doesn't start & stop w/ Trump.